What Is The Best Marshall Tucker Band Album of All Time? Marshall Tucker's music is pure pleasure for me. I can listen them anytime, anyplace. I've paid to see Marshall Tucker probably more than any other band I've seen. I've seen Bob Seger more, but that's because he opened up for so many bands I went to see. It's kinda weird, but not, but I actually detest country music. The old school and new school music. But Southern Rock is part of me. I just love it. 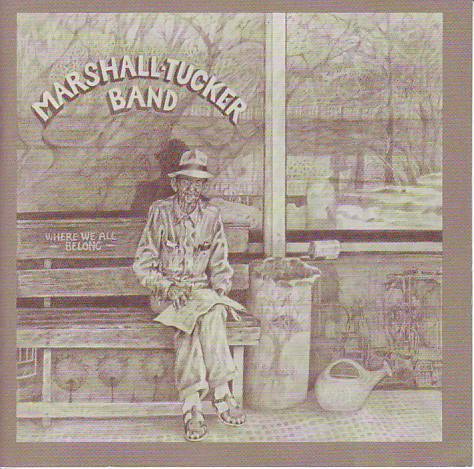 Marshall Tuckers music is a mixture of rock, rhythm and blues, jazz, country, and gospel. It's so smooth and goes down the ears so nicely. That's not to say they don't have kick @ss songs. The boys can play. Toy Caldwell (1947–1993) was core song writer. His passing was truly a definitive hole in the groups output. In fact after his passing I have not followed them much. Doug Gray (vocalist) has a truly amazing and iconic voice. Very distinctive and compliments the southern sound. George McCorkle (flutist), yes flutist added to the distinctive sounds they put out. Paul Riddle (drummer) is one of the best out there. He carried the band on some great rhythms and funky beats at times. Tommy Caldwell (Bassist), Toy's Brother was typical reserved, stand to the side musician that also carried a great rhythm for the band. Just watch this interview to show how cool, laid back and friendly these guys were. Cover art... not real distinctive and that good. The material outshines the art. Despite what Wiki says about the origins of the bands name, George McCorkle mentions the band practiced in Marshall Tuckers warehouse that sold albums. On facing a gig in a hurry, they had to come up with a name and quickly decided on the Marshall Tucker Band. 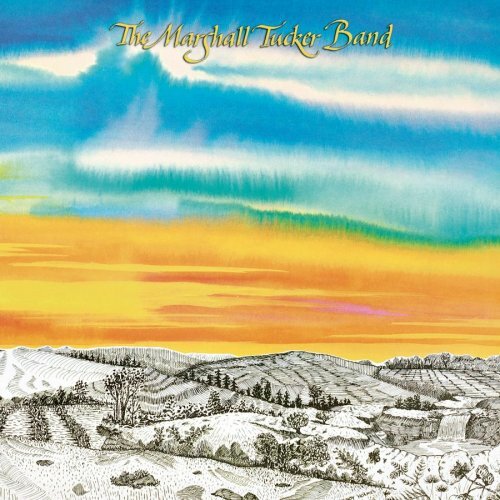 So in 1973, the boys put out their first release simply called The Marshall Tucker Band. It contains the now classic and iconic Can't You See. One thing I want you take note of is the amazing lead guitar duties of Toy Caldwell. Watch as he does all guitar, including lead with just his thumb. That's Toy singing this classic hit. Oh and that's Charlie Daniels adding the very cool fiddle. The second album by The Marshall Tucker Band. It was recorded in Macon, Georgia at Capricorn Studios. Guest musicians include Charlie Daniels and Jaimoe from The Allman Brothers Band. This album did not produce any hits, but it still hit #37 in the US charts. But like the first release, this album contains 24 Hours At A Time which is now is another classic that is played at every show. It's also an extended jam and gets to show off talents of the band members. It was captured so well on the next release, a live album Back Where We Belong. This song is a like a roller coaster ride. Slow, fast, then paced, then kicks @ss. This is where the boys really got their groove and sound solidified. Several of the songs have become must plays in concert. It's kind of like Frampton's Come Alive. This double live album really opened up the ears to a lot of folks. Some of it very country sounding. Not love those songs to much, but the other songs just have a nice blues and or jazz grove to them. This is a double album with the 2nd disc featuring extensive jamming by the band and guest fiddle player, Charlie Daniels, on "24 Hours at a Time" (mentioned and played in my previous posts. Album two was recorded live at the Performing Arts Center in Milwaukee, Wisconsin. There are several guest artists that contributed to seven songs recorded in the studio: Elvin Bishop - slide guitar on "Where a Country Boy Belongs", Charlie Daniels - fiddle, Earl Ford - trombone, Paul Hornsby - piano, organ and clavinet, Jerry Joseph - conga, Steve Madaio - trumpet, Sam McPhearson - harp, Andy Stein - fiddle, and Johnny Vernazza - slide guitar on "Where a Country Boy Belongs". Toy Caldwell - electric and acoustic guitars, steel guitar, lead vocals on "This Ol' Cowboy" and "Everyday (I Have the Blues)"